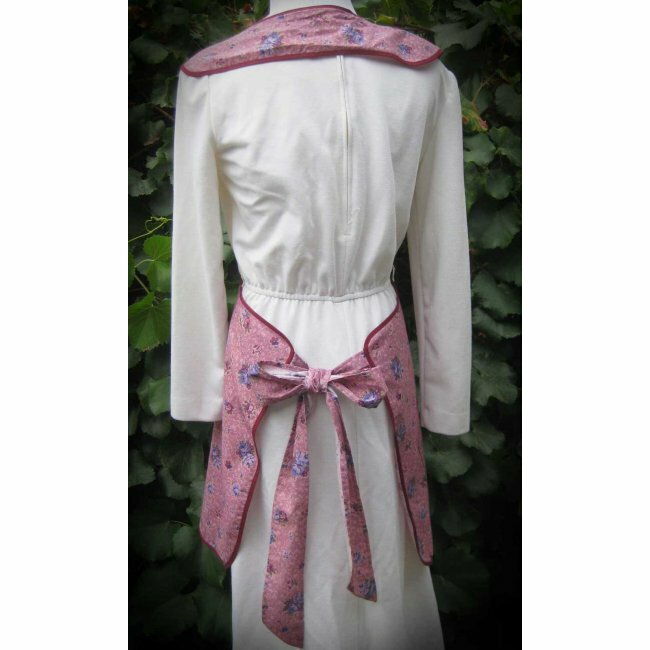 This fabric on this apron as the look of a vintage print. The old fashioned print will surely be a hit for that special someone, or as a gift for yourself. 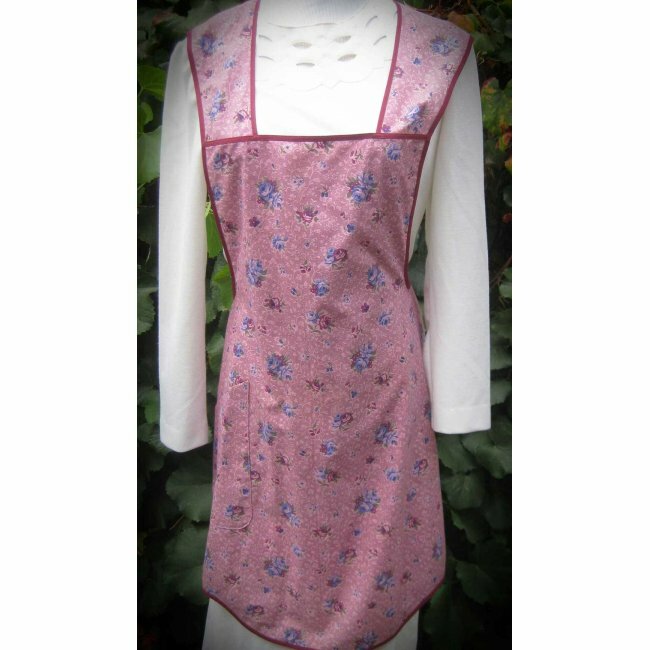 The roses on this lovely apron are blue, while others are burgundy in tone. Apron measures approximately 37 inches long. Trimmed with burgundy seam binding.